RN-Uvatneftegaz, a Rosneft subsidiary, started commercial oil production at Zapadno-Epasskoye field, a new field of the Uvat project. The field is located 250 km away from the village of Uvat within the Ust-Tegussky license area. Its recoverable oil reserves amount to over 17 mln mt. Currently the field's well stock accounts to seven wells. Hydraulic fracturing implemented at two wells enabled boosting its joint oil production rate to 470 cubic meters per day. 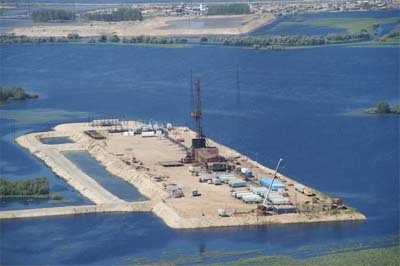 Facilities of Zapadno-Epasskoye field are part of the Eastern Development Center (EDC) infrastructure, which allows getting substantial synergy effect. EDC also includes the Urnenskoye, the Ust-Tegusskoye, the Yuzhno-Gavrikovskoye, and the Malyk fields.